I’ve been thinking about this post for a long time. In literal terms, I’ve been sitting on this post since last August, unable to put words on a page for a number of reasons, many of which were beyond my control. But more broadly, I’ve been thinking about what I’m going to say next since I first decided for whatever reason that I wanted to own every issue of The Amazing Spider-Man comic book series. I own Amazing Spider-Man #1, and I’ve owned it for more than eight months. The seller took it. 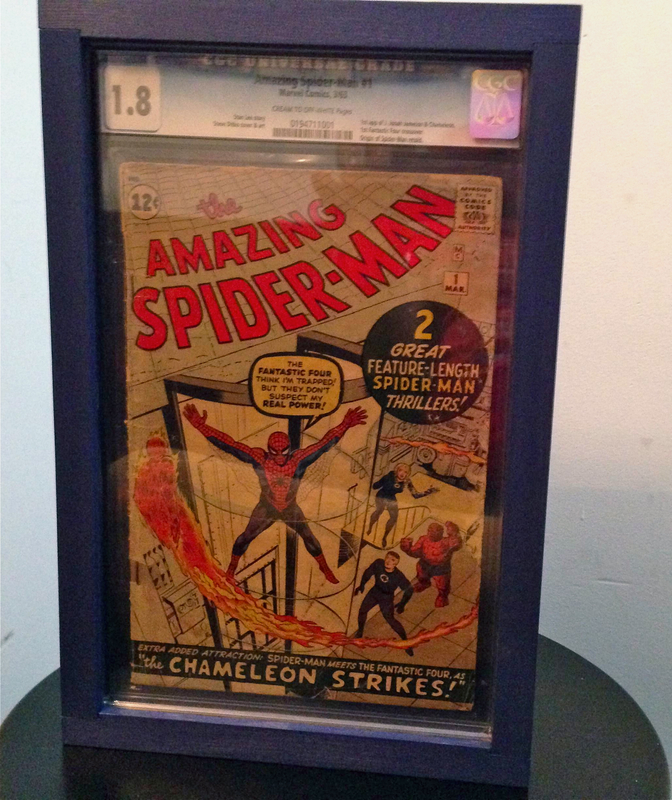 I had purchased a rather attractive looking Good-minus copy of ASM #1 that is CGC-slabbed to boot. Unfortunately, that’s the most information I can share about the actual transaction. My wife and I both signed confidentiality agreements about the experience and want to try and honor those. The only reason why I’m even talking about it now is because a full season of this show has come and gone and we were told our footage would not be included. I could naturally question why they didn’t think my wife and I were good television – especially with her bold money on the counter move – but what do I know about these things? And to be honest, all I really care about is that I now own ASM #1 (and what better day to celebrate that than by announcing it on a day where volume three of the ASM series is released). This was/has been an incredibly surreal experience for me. Since I first started talking about my collection on Chasing Amazing three years ago, I assumed that ASM #1 would be the final piece to completing my quest to own every issue of the series. Even when faced with the specter of buying this comic, I assumed that something would happen and I would either not be able to afford what was being offered to me, or I would just get cold feet and walk away. As bizarre as this sounds, despite the fact that I’m deliriously happy about this purchase (I recently picked up a custom-made CGC slab-sized wall frame and the comic is hanging in my living room), a part of me feels a bit off by this experience. There would have been something poetic about me picking up ASM #1 at the very end of my chase – I recall a number of you saying as much to me during the beginning months of this blog. But to paraphrase Nietzsche, poetry is dead, and I now own ASM #1. As it stands, after unveiling my purchase of ASM #16 earlier this month, my remaining chase is now down to two issues of this series – ASM #3 and #6. No, I’m still not including Annuals for now and if you need me to explain again why I don’t, just click here (and I’m expecting a snarky comment from my good buddy Dan Gvozden in 5…4…3…2..1…). I’m also not including Amazing Fantasy #15 because I still maintain that regardless of my wife’s superheroics with hundred dollar bills, I will never be able to find a copy of that comic that is low-grade but visually acceptable and in my price range. Maybe if I hit the lotto, after paying off my college debts and paying off some other major expenses, I can put aside a bit and get Amazing Fantasy #15. For now, put it out of your mind. Besides, we are not here to talk about Annuals or Amazing Fantasy #15. We’re here to talk about the fact that I now own ASM #1. I’m totally convinced that the last of the two issues to fall will be ASM #3. In addition to being the more expensive of the two, it’s a tricky comic to find in that much-ballyhooed (around here anyway) low-grade but visually acceptable condition and in my price range. Besides, there has to be something poetic about purchasing the first appearance of the “Superior Spider-Man” as a bookend to my quest to collect every issue of Amazing Spider-Man (hardee har har). I thought I would have more to say about ASM #1. I’ve already talked a great length about the story of the comic itself, so there’s no need to rehash that (that’s what links are for!). Perhaps if this issue truly was the last comic for my collection, I would have some long exhaustive post about what this journey has meant to me over the years; about how when I dropped 75 cents on the counter of a local candy/smoke shop to purchase my very first issue of ASM (ASM #296), the concept of spending thousands of dollars on something made of colored newsprint was so outrageous and implausible to me, that it would have melted my mind just to consider it. About how I would go to comic book shows for years, and always feel a short gasp of breath leave my lungs when I walked by a vendor that had copies of early Silver Age ASM’s available for purchase. About how after I finally purchased ASM #1 after more than 25 years of buying and collecting comic books, my wife and I went out for Thai food and I couldn’t even chew and swallow I was shaking so much from adrenaline, shock and excitement. These are some of the things I could talk to you about, but I also need to save some of that for when I inevitably craft that post that I’ll probably title: “The Chase is Over.” But that’s not what I’m going to write at the moment. All that’s really necessarily to close out this post is another statement of facts. I now own ASM #1. Congratulations Mark! I know the chase isn’t over yet, but it’s great to hear you’ve bagged the big one. And a very nice looking copy to boot. I would love to tell that story eventually. Just need to make sure I can legally do so. It’s awesome that you own ASM Vol 1 #1 even if the experience didn’t quite live up to your expectations. Congratulations. I would have loved to see that footage on the last season of said TV show. Good job Mark! Drinks are on me! I might just take you up on that! I do not even know you and i am SO happy for you! Congratulations!!!! I’ve been reading your work for a long time (I’m also your fellow UofM fan on Twitter). I’m very excited for you! The chase is not yet done, but this was for sure the Holy Grail of your collection! Sadly, I think I’ll finish this chase before UofM wins a national title in football or basketball, but I can live with that! Thought we really had a shot this year. Damn Kentucky! Congrats, Mark! I can believe you’ve been able to keep this secret for so long. Congrats Mark! You made a good buy. Keep an eye out for a #3, you’ll find one. #6 shouldn’t be too difficult. And I’m in the same boat as you with the AF #15. That ship has sailed. Instead I’d rather just enjoy reprints. Congratulations! That is a great story. Wow congratulations! As a couple others have said I hope to some day get to read the whole story of how this came about, but regardless this is pretty awesome and I’m very jealous. Wow! I’m speechless, this is one amazing (yes pun intended) story. I never thought I would ever be this happy for a person finally securing that golden idol, the holy grail, the big enchilada…. now I’m getting hungry, errrr Back on topic, but I am. A big congratulations are in order here, ticker tape parades should be held, the popping of corks and of course fireworks galore!!! This must be a huge sigh of relief for you and your wife. I’m counting the days until I have the chance to purchase a copy of this spectacular issue though it could take a long time, a very very veeeerrry long time. I’m adamant though because if you could do it, then I could do it too. I’m about 400 issues away myself. 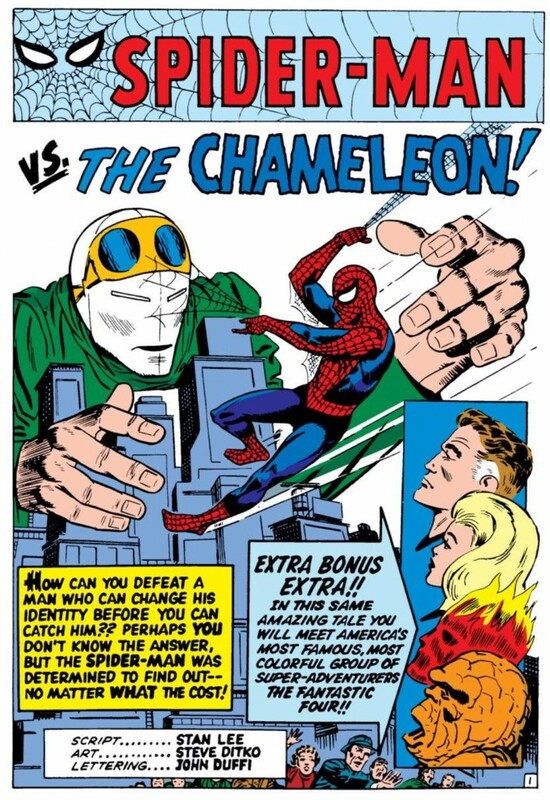 It was by reading this blog for the past 3 years my admiration of the wall crawler has very well been rejuvenated with every installment shared and your personal stories made for a very emotional and exciting read. I’ve been out of Spider-Man since the OMD disaster and still had holes from the Clone Wars fiasco but this blog reminded me as to why Peter Parker had been such an endearing character, why he means so much to you and other fans, and it was after that first blog entry I picked up my first Spider-Man comic since 2007 and I havent stopped since. So thank you Mark for making collecting Spider-Man fun again. It was also with this blog my fondness for the Silver Age issues expanded as well and my first ever silver age purchase of ASM occured #28. Now I have a few more added and each find is like uncovering a lost relic or grail, something I wouldn’t have even fathomed before Chasing Amazing! 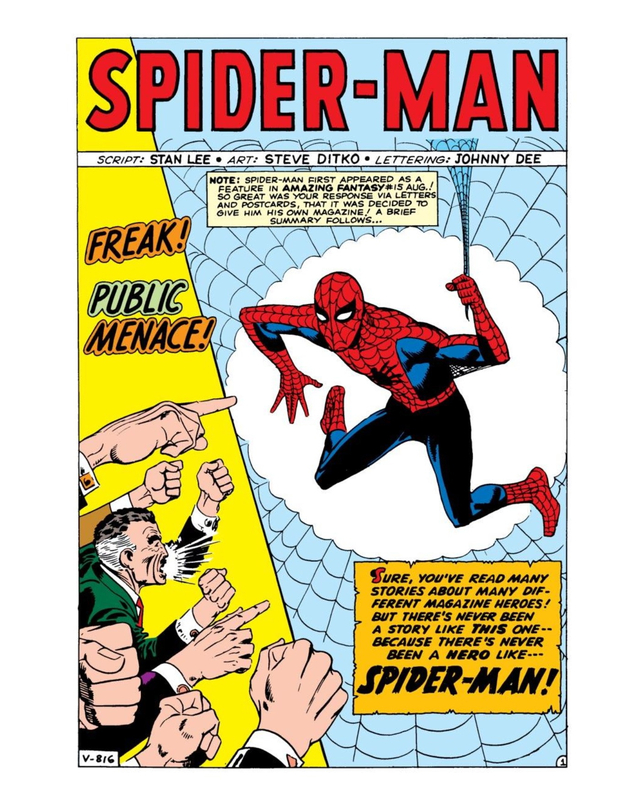 We have traded comments before how we are both in sync remaining issue-wise with completing our collections and up until a few days ago I had three issues remaining (issues 1, 2 and 4) BUT I just purchased a 3.5 condition issue of Amazing Spider-man #2. Very timely post as I too now have two issues remaining (1 and 4)…I do believe #1 will be my final purchase but as you just proved you never know! Great job…I’ll keep following…and I enjoy all your other posts too. Congrats! I finished my run of ASM a few years ago and actually purchased a copy of AF #15 last year. Had to buy a Pence copy, it was the only way I could find an affordable copy in decent shape. I really can’t imagine how do you feel, but it must be wonderful. And hats off to you for being able to keep quiet about it for so long! If I had been in your shoes I would have wanted to tell everyone. It’s been a while now I’ve been following you and there’s always something interesting to read (and to agree on). Thanks for clicking through and saying hello! I’ve got to ask: have you opened it? I’ve never bought a “slabbed” copy because I don’t think I could resist tearing open the case paging through the thing. Congratulations. I hope you opened the slab and took in the glory. I’m very glad to have bought this comic early in my Chase, because I simply could not afford a decent copy with what they go for now. I’m with you 100% on AF 15. At some point I thought “Maybe… some day…,” but now the idea of spending that much money on a comic just strikes me as obscene. It’s one of those things where I’m almost relieved that Spidey did not make his first appearance in Amazing #1, since this way I can own a “complete” run, without losing my shirt to buy his debut. 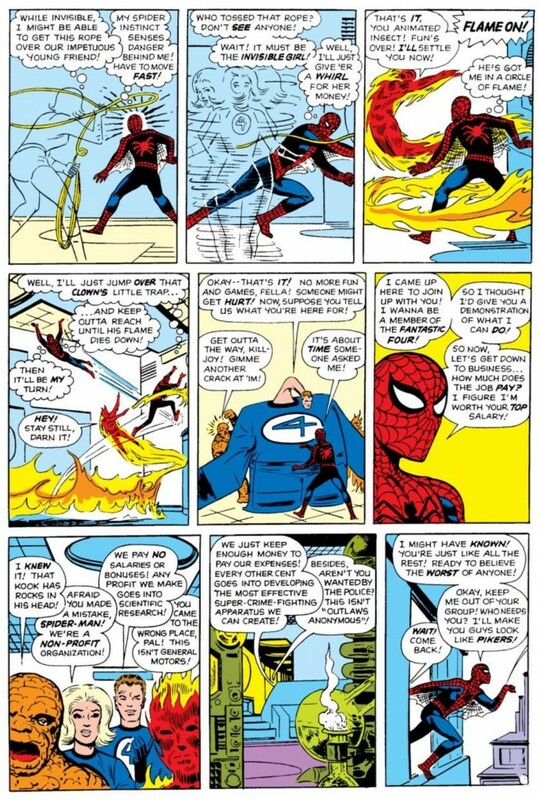 Since you brought it up, and since this is only place in the universe where anyone would even be remotely interested, I wanted to mention that I’ve also planned a poetic conclusion to my chase: ASM #50, Spider-Man No More. Pretty good, eh? I totally agree about Amazing Fantasy 15 and am also glad that is the official first appearance and not Amazing Spider-man 1…especially as I now have two kids in college!! Hey Cass! I’m pretty sure you’re one of the readers who first told me I need to wait for ASM #1 to be my last purchase after Brian Cronin first linked to this page years ago. I have not broken the slab yet. And now I’ve invested in a custom frame job for the comic and the slab, so I don’t if I ever will. I’m kinda afraid to break it open, though I know people do. Oh I think you’re right! I never know how these things are gonna go (e.g. spent $100 buying the Flex Mentallo originals only to have DC announce the trade a month later), but in your case I was probably just thinking of the sentimental value. Apologies for the bad suggestion in any event. Do you have a strategy for #3? I have no idea what they go for, but I’d have to imagine more than usual now because of Ock’s starring role in Superior. Congrats! And that is for bagging Spidey 1 and for having such a supportive spouse. You’re a very lucky man. Once you complete your collection will you change the name of this blog?